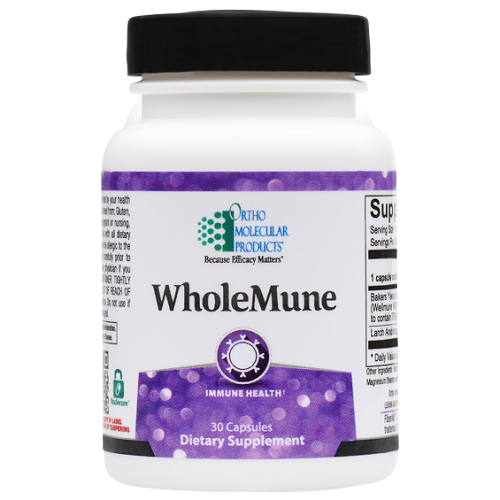 WholeMune is formulated with Wellmune WGP®, the most well-researched, single beta-glucan, proven in human clinical trials to prepare and protect the immune system from repeated and ongoing stressors. 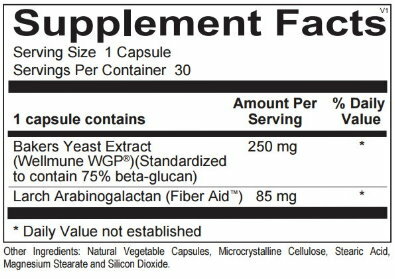 Wellmune® WGP is a highly purified, yeast-free beta glucan extract derived from Saccharomyces cerevisiae. 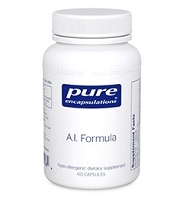 It is standardized to contain 75% pure beta-glucan and is considered the most effective single nutrient to naturally prime immune cells. 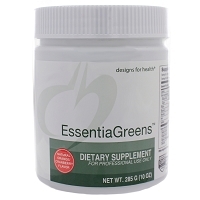 A strong immune system is integral to overall health and wellbeing. Maintaining a strong immune system can often be a challenge in today’s world- high stress levels, poor diet, lack of sleep and environmental pollutants can slow down immune response. WholeMune’s primary active ingredient is Wellmune WGP®- a natural beta 1,3/1,6 glucan derived from the cell wall of a proprietary strain of baker’s yeast (Saccharomyces cerevisiae). Once swallowed, immune cells in the gastrointestinal tract take up Wellmune WGP® and transport it to immune organs throughout the body. Specific immune cells called macrophages digest Wellmune WGP® into smaller fragments and slowly release them over a number of days. The fragments then bind to neutrophils (white blood cells), via complement receptor 3 (CR3). Neutrophils are the most abundant immune cells in the body, accounting for 60-70% of all immune cells. The activation of neurotrophils by Wellmune WGP® fragments allows these cells to move faster throughout the body, resulting in a significant boost in immune defense. Beta-glucan has been recognized for its support of immune system activity for centuries  and has become the subject of over 800 scientific studies. 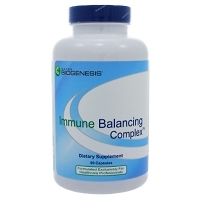 Wellmune WGP® has been shown in clinical studies to have a potent effect on immune responsiveness and to defend the system from the effects of recurring stress. 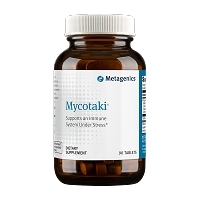 Numerous studies have shown betaglucan also promotes production of antioxidant enzymes and supports immune function against microbes. In a study of 54 firefighters given Wellmune WGP® or placebo, those who took Wellmune WGP® experienced better physical health and nearly 25% reported fewer upper respiratory challenges. A 2013 study on healthy women given 250 mg Wellmune WGP® or placebo also found 10% fewer upper respiratory challenges compared to placebo; better well-being and mental and physical energy levels were also reported. In another randomized, placebocontrolled, double-blind study on the effects of four weeks of 250 mg Wellmune WGP® or 250 mg per day of rice flour placebo on the physical and psychological health of those with seasonal discomfort symptoms, Wellmune WGP® improved symptoms, overall physical health and emotional well-being, compared to placebo. Further research on medical students found a 22% reduction in the total number of days with upper respiratory symptoms in Wellmune WGP® group versus placebo. Finally, a 28-day lifestyle study found that participants taking Wellmune WGP® reported a 34% improvement in health scores after four weeks compared with the control group as well as increased vigor, and lower fatigue, confusion and tension. Wellmune WGP® has also been found to provide post exercise protection, to maintain white cell concentrations/monocytes, improve mucosal immunity, enhance immune responses to a perceived challenge, and improved salivary IgA post exercise. If you are pregnant or nursing, consult with your health care practitioner before taking this product. 1. Tian J, Ma J, Wang S, et al. Increased expression of mGITRL on D2SC/1 cells by particulate β-glucan impairs the suppressive effect of CD4(+)CD25(+) regulatory T cells and enhances the effector T cell proliferation. Cell Immunol 2011; 270(2):183-7. 2. Senoglu N, Yuzbasioglu MF, Aral M, et al. Protective effects of N-acetylcysteine and beta-glucan pretreatment on oxidative stress in cecal ligation and puncture model of sepsis. J Invest Surg 2008; 21(5):237-43. 3. Talbott S, Talbott J. 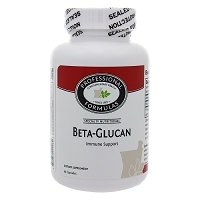 Beta 1,3/1,6 glucan decreases upper respiratory tract infection symptoms and improves psychological well-being in moderate to highly-stressed subjects. Agro FOOD Industry hi-tech 2010;21(1):21-24. 4. Talbott S, Talbott J. Effect of BETA 1, 3/1, 6 GLUCAN on upper respiratory tract infection symptoms and mood state in marathon athletes. J Sports Sci Med. 2009;8: 509-515. 5. K. C. Carpenter, W. L. Breslin, T. Davidson, A. Adams and B. K. McFarlin. Baker’s yeast β-glucan supplementation increases monocytes and cytokines post-exercise: implications for infection risk? 21 May 2012 by Wellmune in Clinical Research, Research. British Journal of Nutrition, FirstView Article : pp 1-9.